4:44 Last Day on Earth DVD and Blu-ray release date was set for July 17, 2012. Cisco and Skye are a couple in love in this apocalyptic drama. 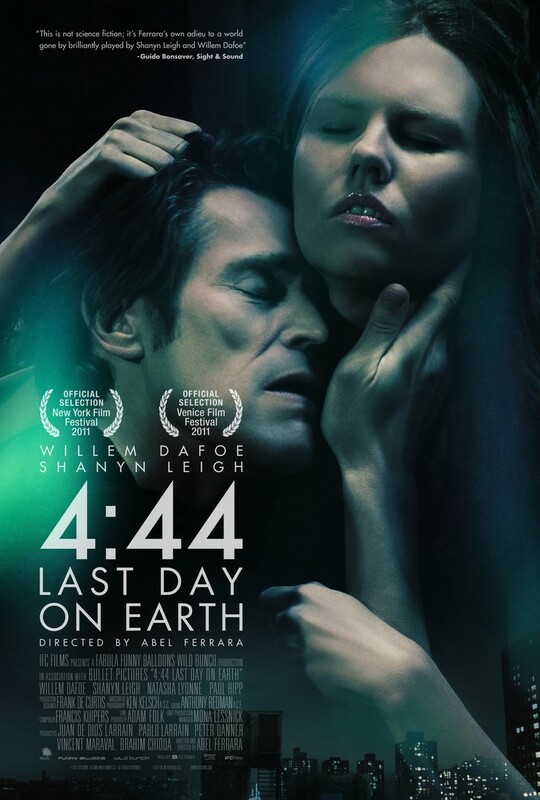 The young female painter and her successful actor lover just want to spend time in their city loft together, all with the sobering knowledge that scientists have predicted the end to all life on earth the following day at 4:44 due to radiation. They seem to be at peace with their fate, making love, painting, giving their money away to the food delivery man and saying final goodbyes to family members and loved ones using their computer.